Leftover from my la gargouillou were an assortment of baby vegetables. Rather than waste them or continue to eat them raw I’ve used a couple of techniques to turn them into new taste treats. 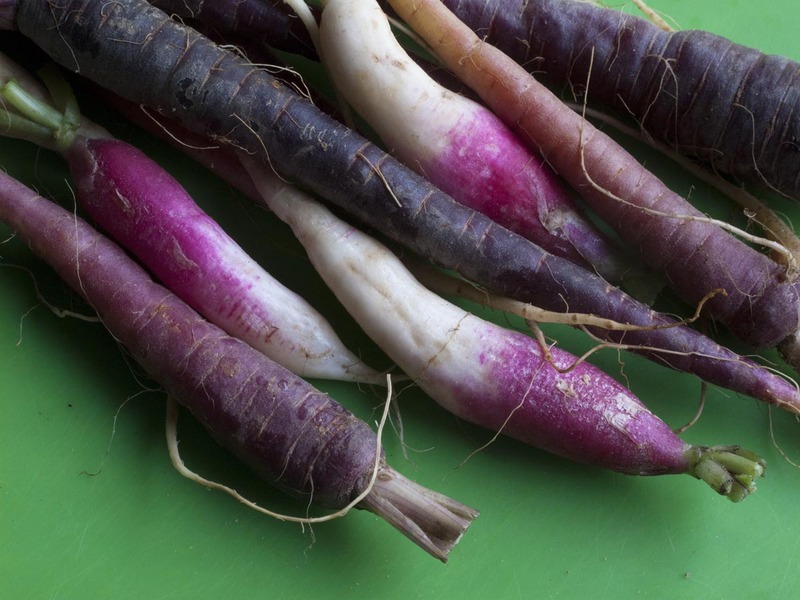 Last night it was the glorious purple baby carrots and French breakfast radishes seasoned with olive oil, lemon juice, salt and pepper and roasted along with some pork ribs. We couldn’t put them on the grill ‘cause the winds were too high, but roasting brought out the sweetness just as well.